What's the Big Deal About Smarketing? 'Always be helping' means that sales and marketing have alignment around business goals and customer personas. In marketing, HubSpot took many tools - blogging, social media, email, website content management, website analytics and SEO tools - and bundled them into an easy-to-use integrated marketing automation solution. I remember the days of trying to make all of these independent tools work and it was a nightmare. Forget about ever being able to delight customers! Imagine taking that same mindset to simplify and focus the sales process with HubSpot CRM and Sidekick. "We started HubSpot because we felt the way consumers shop and buy had fundamentally changed. The inbound movement has helped transform the world of marketing, and we really feel like there's a huge opportunity to transform the customer experience with sales technology that enables companies to sell more, better, and faster." 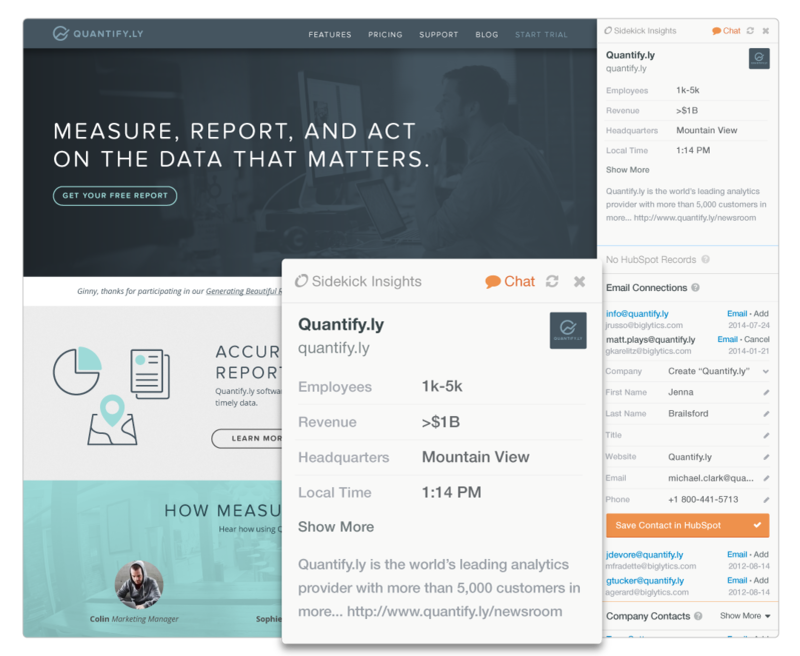 HubSpot's new sales tools provide sales teams with context to develop stronger relationships, building off of the insights gained through marketing to more successfully drive sales and delight customers. That's smarketing: it allows sales and marketing to speak the same language, it creates closed-loop reporting based on data so sales and marketing collaborate. These sales tools are also a big deal if you are a business which doesn't have a CRM option like Salesforce, or has one that can't easily communicate with your marketing data on HubSpot. With HubSpot's new CRM tool, you can be as thoughtful, deliberate, analytical - and integrated - in your sales process as you have become in your marketing. If you want to learn more, be sure to watch the Power of Smarketing on SlideShare from HubSpot. It's part of Inbound Certification. 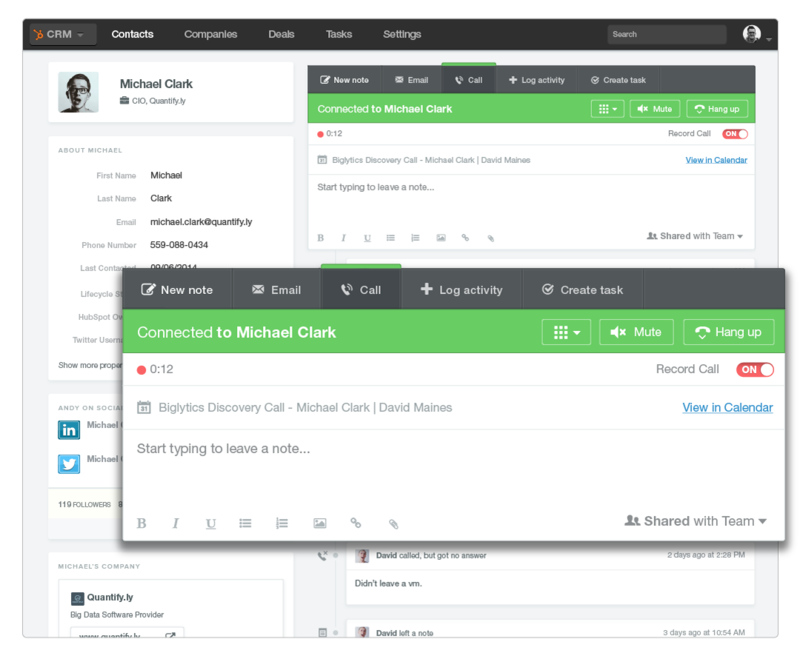 HubSpot CRM has a clean interface and is user friendly. It is designed to get your team started quickly and keep them focused on selling without changing the way they already do things. Database - Collect & store data on contacts, companies, deals, and tasks with a reliable, easy to use database that is built for the scale of today’s data. Automatically creates company records, associates contacts, de-duplicates leads, and takes care of all the little details your team shouldn’t be distracted by. It's easy to sort based on properties you use in the marketing process, or add new ones so conversion forms can help the sales process (see below). Timeline - Timeline organizes every email, call, note, even website visits into one simple, intuitive view. Make calls, send emails, set reminders, and organize your day in one place. Email - You can connect to Gmail, Google Apps, Outlook, and Apple Mail, logging emails with your contacts easily and automatically. 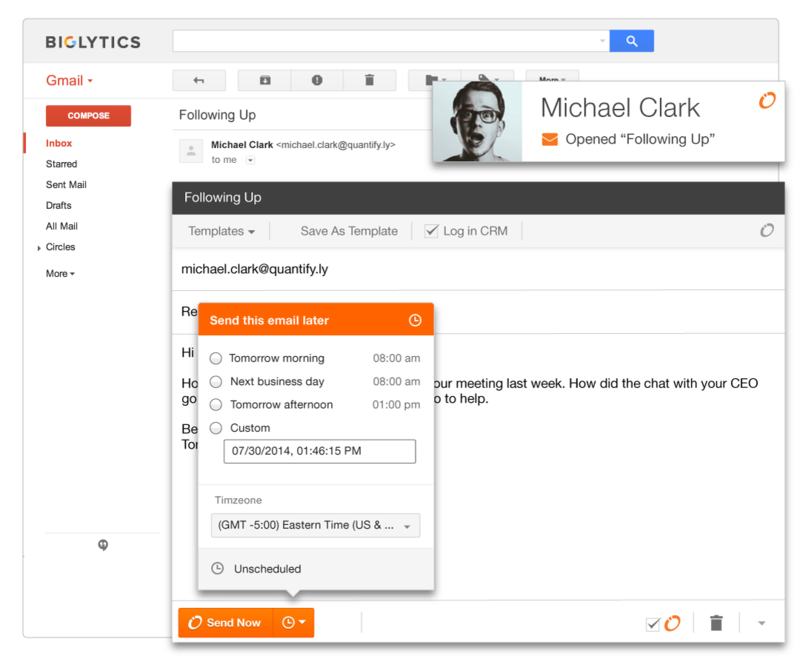 You can send emails right from any contact’s record in HubSpot CRM. Google Calendar Integration - Connect Google Calendar to see scheduled meetings and create new meetings in seconds without ever leaving your CRM. Data Enrichment - Instantly see new, useful information about any contact or company. Background information, details on key employees, social data, related companies, and more. An evolution of HubSpot’s Signals product, Sidekick connects to your inbox and your CRM system, giving you valuable details about the contacts and companies you meet during your day, everywhere you go. Sidekick Insights - Sidekick lives in your browser and follows you throughout your day, giving you valuable details about the contacts and companies you find and interact with in your inbox and on the web. 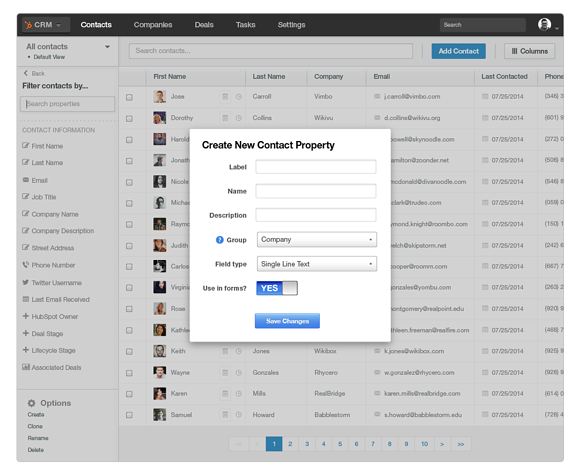 You can easily add companies and contacts from this tool. Sidekick Notifications - Real-time notifications tell you when, where, and how prospects are engaging with you - by opening or clicking your emails, visiting your website, and more. 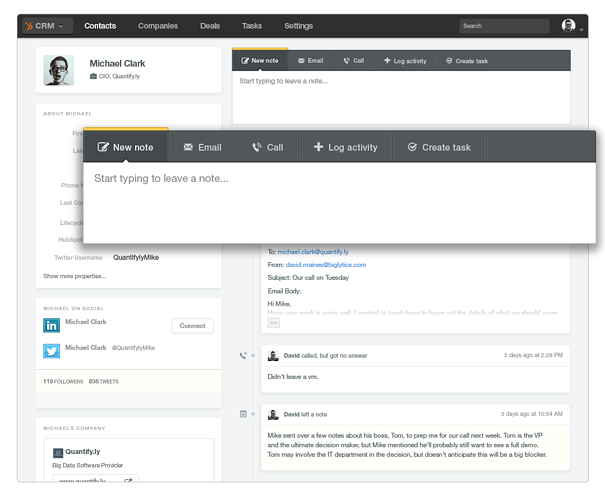 Reporting helps you understand and track your teams’ activity and the performance of their messages. Send Later - Get more out of your emails without sacrificing your workflow. Tee up messages from Gmail in Google Chrome to send on any day, at any time, when they are most likely to be opened & clicked. 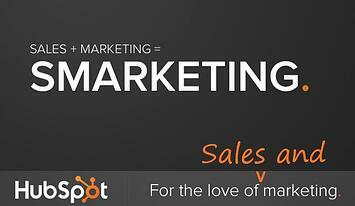 Ready to Embrace Smarketing and the New HubSpot Sales Tools?